Developments in technology continue to have impact on the way we travel. Reports confirm that mobile is now ahead of desktop in terms of internet usage, and the shift is not only from desktop to mobile, but to a range of multi-platform devices. These shifts result in a greater choice of how, when and where we research and confirm our travel plans. Taking a look at digital behavior across generations also gives us a glimpse into the future as research reveals that millennials by far prefer to use the smartphone for almost all tasks. Travel companies that do not make it easy for users to access information quickly on the web can be penalized. McKinsey & Company report that Google says 61% of users are unlikely to return to a mobile site they had trouble accessing and that 40% will visit a competitor’s site instead. The challenge is to ensure your hotel website is compatible with all devices, not only mobile phones, so that information is easy to access by anyone from anywhere. The latest solution from web developers is a responsive website design, one that automatically adjusts to the device screen size to give the best user experience possible. Responsive websites are the latest trend in web design and replace the need for a separate mobile-friendly website. Responsive websites are also in favor with Google, their recent algorithm rewards mobile optimized sites with higher ranking in mobile searches. To get the best from a responsive website, the layout should be clean and simple without too many words or heavy images allowing for greater speed and usability whether browsing on a smartphone, tablet or desktop. Hoteliers have more to consider than just appearance and layout, the process of booking a room has to be as easy and seamless as possible. For this an Internet booking engine is used that blends into a website design adding buttons and prompts such as “check availability” and “make a reservation”. 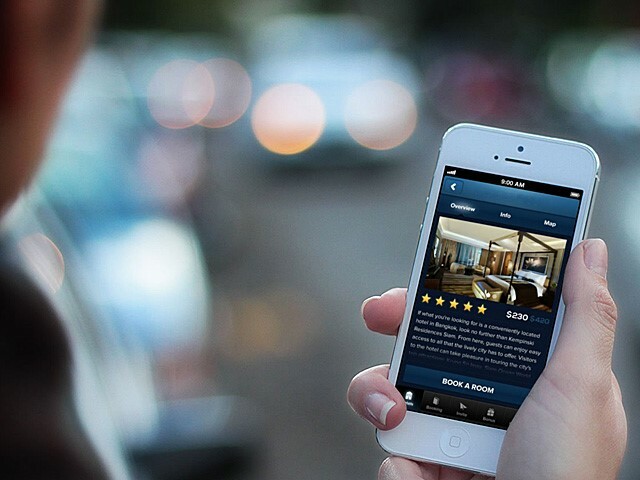 The number of last minute hotel bookings made on a mobile is also increasing with 60% of hotel bookings made within 24 hours of checking in. Therefore the hotel booking engine also has to be responsive making it easy to use on all devices. Booking engines should allow users to access information quickly such as the room rate and availability, and make a booking within just a few clicks. To remain competitive in the long term, hotels need to understand the digital behavior of travelers and satisfy their desire to source information and make bookings online. Mobile bookings in travel have grown by 1700% between 2011 and 2015, moving from 1% to 18% of online revenues, and is only set to grow over the coming years. Considering the pace of change in technology and the fact that new devices are being launched with various screen sizes, it is well worth switching to a responsive design for the future. With a responsive booking engine and website your hotel information will always be easy to view from new devices.